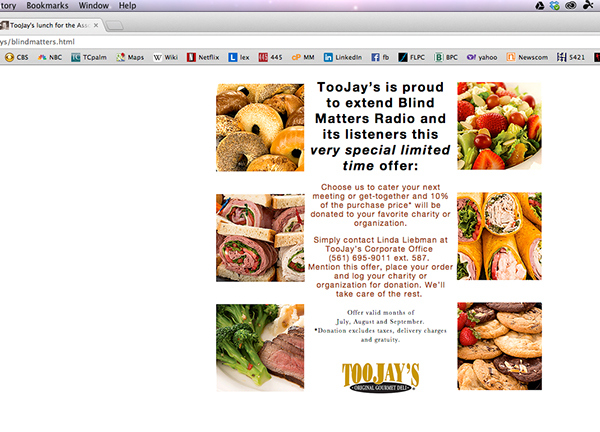 I created two email blasts for TooJay's—a very popular sandwich chain in South Florida. This blast was targeted to the listeners of Blind Matters Radio. HTML was assembled in DreamweaverCC. An HTML email blast created for TooJay's sandwich chain in South Florida.